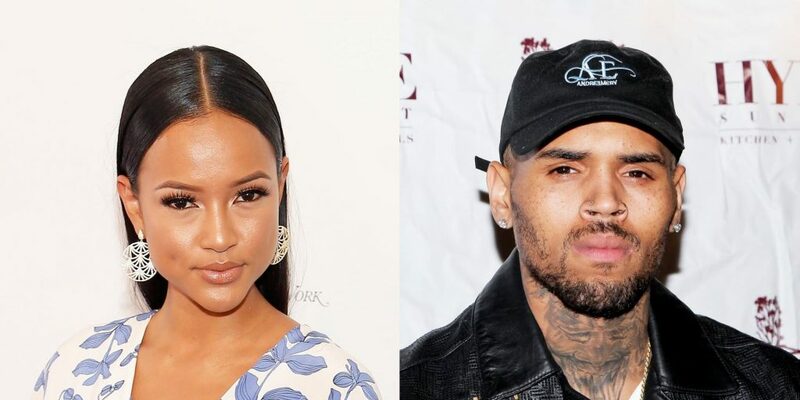 Karrueche Tran, who dated famous singer Chris Brown for quite some time, did not receive a permanent restraining order against Brown, despite her explicit request. The reason why the request was denied is linked to the fact that Karrueche failed to appear in court. This does not mean that the star cannot get a permanent restraining order against Brown, but probably she will have to do more effort on that front. TMZ reported that Karrueche was supposed to be in court for the hearing, as she should have given certain details on her claims against Brown. She accused the popular singer of making a series of death threats and of physical abuse. However, the star was unable to be in court herself, as she was filming a new TV show in New Orleans. Although she told the judge her side of the story over the phone, the judge decided that a ruling will not be made since Karrueche was not there in person. Karrueche was not the only one who failed to appear in court. We can surely say the same thing about Chris Brown, who did not show up for the court hearing, either. Karrueche Tran received a temporary restraining order against the famous singer in February, 2017. She claimed then that Brown threatened to shoot her. However, that was not all. The star also said that Brown punched her in the stomach and pushed her down the stairs. Considering the allegations, she obtained a temporary restraining order against the singer. However, she filed the legal papers seeking to obtain a permanent order. She also said that Brown was very violent towards her. The case has not been finally concluded, and most likely a new decision will be made when Karrueche Tran will be able to appear in court.